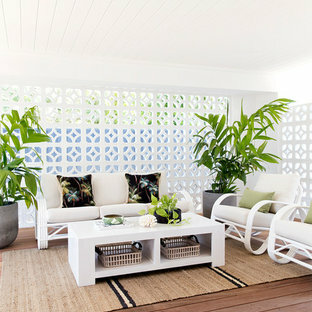 Inspiration for a contemporary patio. Beach style deck in Brisbane with a roof extension. Design ideas for a contemporary side yard l-shaped pool in Melbourne with natural stone pavers. 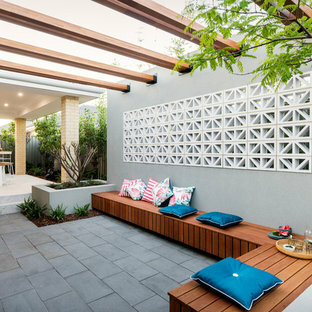 Large contemporary backyard patio in Perth with a container garden, a roof extension and concrete pavers. 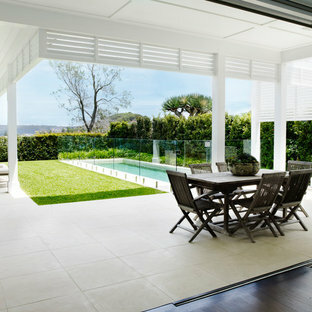 Hamptons Style beach house designed and built by Stritt Design and Construction on Sydney's Northern Beaches. Outdoor entertaining back yard with covered patio, sandstone pavers, pool, hedges and lawn. 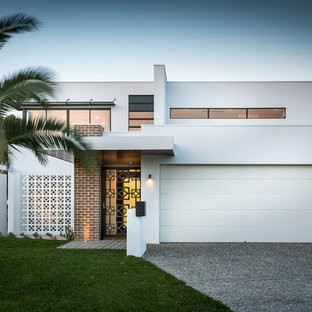 Mid-sized midcentury two-storey white exterior in Perth with a flat roof. 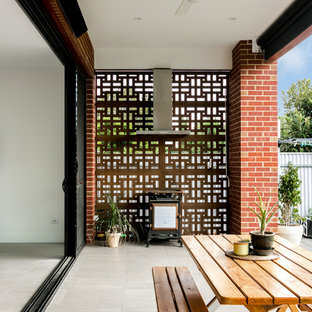 Photo of a contemporary backyard patio in Adelaide with an outdoor kitchen, concrete pavers and a roof extension. 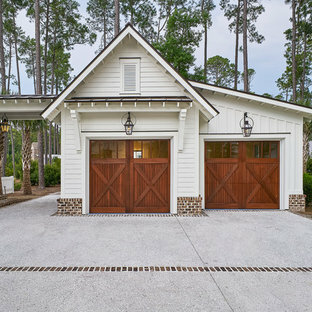 Inspiration for a country two-car garage in Atlanta. Traditional backyard shaded garden in Boston with natural stone pavers. Photo of a large balcony in Bengaluru with a container garden and a roof extension. This is an example of a traditional side yard garden in Burlington with natural stone pavers. Inspiration for a contemporary exterior in London. 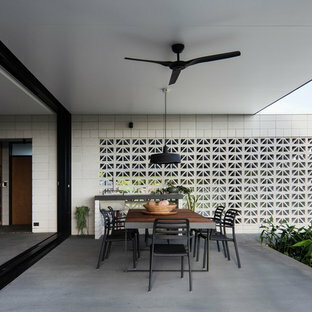 Inspiration for a contemporary concrete exterior in Melbourne. Photo of a traditional white exterior in Grand Rapids. Inspiration for a contemporary entryway in San Francisco. 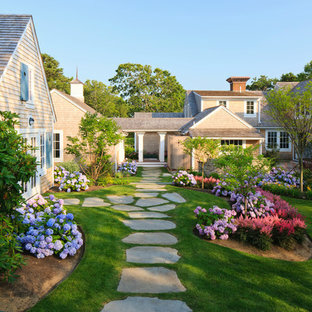 Traditional verandah in Boston with a roof extension. By Hooten Land Design, Inc. Traditional verandah in Atlanta with decking and a roof extension. Contemporary patio in Auckland with a water feature.